Hopefully if you have come to this page, you have read some foundational material before getting here. I am preaching more than milk here and am getting to more meaty matters. Milk is foundational. The "rest" spoken of in Isa 28:12 is the rest one achieves when they separate the soul from the spirit. People can get caught up in soulish religiousness. Doing work for God without doing His will or without doing it His way is dead works and is a stench in His nose. Isa 64:6 ¶ But we are all as an unclean thing, and all our righteousnesses are as filthy rags; and we all do fade as a leaf; and our iniquities, like the wind, have taken us away. But such work or ministry is a stench to God. Heb:9:14: How much more shall the blood of Christ, who through the eternal Spirit offered himself without spot to God, purge your conscience from dead works to serve the living God? By the way, the "filthy rags" in Isa 64:6 should actually be translated as menstrual cloth! And that is what our self righteousness is like to God! You see ministry from the soul is brass when God wants gold. When King Solomon built the temple in the Old Testament all the utensils and tools were made of gold. Later these were taken out and King Rehoboam substituted brass for gold. Read Kings 6:20-30, 7:48-50. Then read 2 Chron 12:9-10. Brass looks alot like gold but it is a substitution and is not of God. Sometimes we get brass, because we mix God's word with tradition, or we deny the power of God. Most of us have heard of the Reformation. Out of the Dark Ages, when many of God's truth's were lost, men of God began seeing new truths in scripture which traditions and enemies of the cross had taken away. But many such movements simply added the new truth to the old. God can and has used such mixture. But the perfect, the gold, cannot ever come from such. 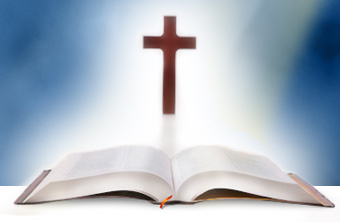 1 Co 3:11 ¶ For other foundation can no man lay than that is laid, which is Jesus Christ. 2 Tim 2:20 But in a great house there are not only vessels of gold and of silver, but also of wood and of earth; and some to honour, and some to dishonour. To obtain the pure, you need a new container and not mix the precious with the vile. 37 And no one puts new wine into old wineskins. Else the new wine will burst the wineskins and be spilled, and the wineskin will perish. 38 But new wine must be put into new wineskins, and both are preserved together. 39 Also no one having drunk old wine immediately desires new, for he says, The old is better. When you put new wine into old wine skins, eventually it will burst open and some will be lost. How often have we seen division in the church because new truth was added to the old? Sometimes this caused many to reject the new (losing the new wine because it was spilled). God wants the old wineskins destroyed. AMPLIFIED Jeremiah 48:11 Moab has been at ease from his youth, and he has settled on his lees [like wine] and has not been drawn off from one vessel to another, neither has he gone into exile. Therefore his taste remains in him, and his scent has not changed. 12 Therefore behold, the days are coming, says the Lord, when I shall send to [Moab] tilters who shall tilt him up and shall empty his vessels and break his bottles (earthenware) in pieces. The Lord is sending apostles and prophets to break the old wine skins in the earth today. Tradition has corrupted the church and its doctrines. It is apostles and prophets who build the foundation of the church. Many have seen prophets who are abusive, sometimes we call it "Fire and Brimstone". It is true that there must be a type of destructive work by prophets. There is a balance here. We did see Jesus get angry, but He also was here to save men. It is religiousness not men which must be destroyed here. Rv:19:15: And out of his mouth goeth a sharp sword, that with it he should smite the nations: and he shall rule them with a rod of iron: and he treadeth the winepress of the fierceness and wrath of Almighty God. I was very surprised when I saw the sword come out of His mouth, because it came out handle 1st and the point last. And He explained why this is so. When we minister the sword, which is the Word of God, we do so to preserve people, not to take them out. We are to show them, and train them to use the sword themselves. It is only against demons that we use the point of the sword, or against their works, like false teachings. But to get at those false teachings, we can't hack away at our brothers. 1Cor:4:21: What will ye? shall I come unto you with a rod, or in love, and in the spirit of meekness? Gal:6:1: Brethren, if a man be overtaken in a fault, ye which are spiritual, restore such an one in the spirit of meekness; considering thyself, lest thou also be tempted. We cannot purify someone else's soul, they must use meekness themselves in receiving God's word. 28: And it shall come to pass, that like as I have watched over them, to pluck up, and to break down, and to throw down, and to destroy, and to afflict; so will I watch over them, to build, and to plant, saith the LORD. 29: In those days they shall say no more, The fathers have eaten a sour grape, and the children's teeth are set on edge. 30: But every one shall die for his own iniquity: every man that eateth the sour grape, his teeth shall be set on edge. 34: And they shall teach no more every man his neighbour, and every man his brother, saying, Know the LORD: for they shall all know me, from the least of them unto the greatest of them, saith the LORD; for I will forgive their iniquity, and I will remember their sin no more. You see this? God told Jeremiah that there will be tearing down, but He goes on to say that people will know when the grapes are sour, the wine is old. Then the Lord shows the New Covenant and describes how each believer will have the Holy Spirit and can be taught by Him. We need to flee mob mentality in the church. We all know what I mean, many have said, "I am a Catholic, and my parents were Catholics, and so were their parents." Or even, "I am a Lutheran because my parents were Lutherans." But we have also seen some of these wineskins burst. Look at the Catholic church in the United States, they are running out of priests and have to get priests from other countries. We also see church splits and some churches close down. God is not anyone's Grandpa. He has no grandchildren. You cannot get to God through your parents. God isn't going to respect you because of your parents. 6 ... For not all who are descended from Israel belong to Israel, 7 and not all are children of Abraham because they are his offspring... 8 This means that it is not the children of the flesh who are the children of God, but the children of the promise are counted as offspring. 13 who were born not of blood, nor of the will of the flesh, nor of the will of man, but were born of God. We are not running in an Old Testament priesthood any more, every believer is a priest and has entrance to God. The term laity is unbiblical and wrong. It's not a church with laity and ministers, we are all priests. This is why Jesus warned the church about the laity train of thought. But we also can have the Holy Spirit teach us and through Him in us, we can know when we are given old wine and stale manna. You see, way back in the Old Testament, God prophesied that even His New Covenant would have abuse and error, and He sent prophets telling us of false and abusive shepherds. This why He also told us we would have a habitation of shepherds. The pasture can be a home for shepherds, and all in the pasture can be shepherds. This is the priesthood of the believer. Jer 33:12: Thus saith the LORD of hosts; Again in this place, which is desolate without man and without beast, and in all the cities thereof, shall be an habitation of shepherds causing their flocks to lie down. So many today are fleeing the corporate church scene and going to home churches. I am not telling folks to abandon the church or churches. There still are many good churches out there. We all need to follow Christ our Chief Shepherd and let Him guide us to the pasture He wants us at. But many churches have brass. The have taken the business corporation structure and incorporated into church government. And you know God has blessed such things, but such blessings have been limited and have not been the full blessings of God. God uses what He can, because He wants people saved, Spirit filled, and walking in His Kingdom. But the time is near at hand when His Hand is near. He has prophesied to us a great shaking. This shaking is needed to break the old wine bottles. 26 whose voice then shook the earth; but now He has promised, saying, "Yet once more I will not only shake the earth, but also the heavens." 27 And this word , "Yet once more," signifies the removing of those things that are shaken, as of things that have been made, so that the things which cannot be shaken may remain. As Heb 12:25 says, we shouldn't ignore His voice. But we have a choice. We can willingly fall on the Stone of Offence and be broken or He will fall on us and crush us to bits. And so, He is sending forth His prophets to speak to us before the shaking comes. Perhaps we will shake ourselves, and get rid of the old wine skins. The half that is left behind will unite into 2 camps. One part will join a new One World Religion in Rome and will deny the real Christ, the other part will repent and turn to the Lord. And the part who is with Rome, will work with the Anti-christ and will persecute those left in the church and they will flee into the wilderness. What is interesting is the correlation between this in Revelation (the Tribulation period) and what was prophesied through Jeremiah when he spoke of Moab not changing his scent and not being poured from vessel to vessel. 7 For because you have trusted in your works [your bungling idol images] and in your treasures [instead of in God], you shall also be taken. And Chemosh [your god] shall go into captivity, his priests and his princes together. Those who do not get shaken, have taken brass instead of gold, and made God into an idol, not believing or walking in His full truth. More importantly, refusing to do so. Thus why they are left behind, but many of them will repent afterwards. 9 Give wings to Moab, for [by that means only] she will flee and get away; her cities will be desolate, without any to dwell in them. 10 Cursed be he who does the work of the Lord negligently [with slackness, deceitfully]; and cursed be he who keeps back his sword from blood [in executing judgment pronounced by the Lord]. Do not these wings sound like the wings from Rev 12? The negligence here may refer to the poor shepherds who have not fed the sheep properly, or the believer who did not diligently search out the scriptures for the truth. 11 Moab has been at ease from his youth, and he has settled on his lees [like wine] and has not been drawn off from one vessel to another, neither has he gone into exile. Therefore his taste remains in him, and his scent has not changed. 15 Moab has been made desolate, and his cities have gone up [in smoke and flame]; and his chosen young men have gone down to the slaughter, says the King, Whose name is the Lord of hosts. Verse 13 may refer to the repentance after the rapture. The desolation of 15 may refer to the rapture (cities have gone up), or to those who forsook Christ and went to Rome's One World Religion, or to those being martyred for their faith. 25 The horn (strength) of Moab is cut off, and his arm [of authority] is shattered, says the Lord. 2 Thes 2:7: For the mystery of iniquity doth already work: only he who now letteth will let, until he be taken out of the way. I believe Jer 48:25 may refer to this prophetically, because Jesus says the church is the salt. Math 5:13: Ye are the salt of the earth: but if the salt have lost his savour, wherewith shall it be salted? it is thenceforth good for nothing, but to be cast out, and to be trodden under foot of men. The church is the salt. The light of Christ working through us keeps back the work of darkness. 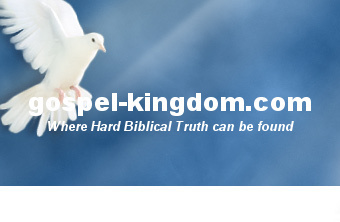 When the rapture occurs satan will not be hindered by the salt and can send the anti-christ. The church left behind will now find a loss of strength and authority in the realm of the world. They will be outlawed and no longer tolerated. 33 Joy and gladness are taken away from the fruitful orchards and fields and from the land of Moab. And I have made the juice [of the grape] to fail from what is pressed out in the vats; no one treads [the grapes] with shouting. Their shouting is no shouting [of joy, but is a battle cry]. 35 Moreover, I will cause to cease in Moab, says the Lord, the one who ascends and offers in the high place and the one who burns incense to his gods. This again points toward a corporate wide repentance, and sorrow for the brass they had followed. By the way, many believe the nation Israel will also have a corporate repentance at this time, and thus fulfill Paul's prophecy that the entire nation will be saved. 47 Yet will I reverse the captivity and restore the fortunes of Moab in the latter days, says the Lord. Thus far is the judgment on Moab. This is a long introduction to some teachings that I know will be resisted. I want you to ask yourself, are you resisting this because it doesn't fit in your wineskin? Remember we take on entire different realms of interpretation based upon what wineskin we have. Thus the need for a new wineskin, which is based upon the word of God alone, and no traditions. This is a work upon the Foundational Principles, which most churches never even heard of let alone taught. You can find teachings on these Foundational Principles here: Foundational Principles. Acts:17:11: These were more noble than those in Thessalonica, in that they received the word with all readiness of mind, and searched the scriptures daily, whether those things were so. Do not throw out teachings because a shepherd say's so, or a denomination say's so, or a family member say's so, or even if your reason or stance say's so. This is the old wineskin talking. We toss out teachings because they are unbiblical. That should be the only say so. I have a family member who is involved in the Catholic church. Years ago a friend of his led him to the Lord and got him born again. He went from the 1st baptism to the 2nd. When I got baptized in the Holy Ghost (the 3rd baptism) within the Catholic church, I invited this family member to do likewise. They told me they didn't have time in their life for such things. Oh man, that's addiction to the old wine skin! Even though they won't get to the wedding, they haven't lost their salvation, and Jesus will come for them after the wedding. And though they didn't make it to the feast, Jesus will feed them Himself, because they went and got new wine skins after the shaking.